Navdeep Bains, the federal minister of innovation, is consulting Canadians on ways to step up our digital game. So, here’s my two cents: make broadband accessible and affordable to everyone. An extraordinary experiment in Alberta (circa 2000 – 2005) shows us how. Let’s start with some context. Two decades ago, Canada was a rising star in the digital world; it didn’t last. Now we’re 29th in global rankings, trailing Spain and Cyprus. Bains thinks that an innovative approach to cloud computing, Artificial Intelligence, and the Internet of Things can turn this around; and for many Canadian businesses and communities, he may be right. But there’s a big problem for others – all those who rely on aging copper wires for what the telcos blithely call “high-speed” access, especially in rural areas. Try running a smart farm with a 10 Mbps connection. In fact, Canada has a stubborn “digital divide.” The reason is geography. We’ve got too much of it. Using fiber optic cable and/or wireless technology to connect rural areas gets very costly very quickly – especially, in mountainous or marshy terrain. Until now, we’ve left these decisions to “the market,” that is, to telecommunications companies like Bell, Rogers, and Telus. And they won’t budge until they’re sure a local market is big enough to provide a healthy return. After all, that’s how “markets” (and telcos) work, right? Not necessarily. What if we stopped thinking of digital infrastructure as just another business? What if we saw the internet the way the CRTC now says we should: as an essential service, more like telephones or hospitals than restaurants or taxis? This puts things in a very different light – and leaves us asking: Why are we so beholden to “markets?” There is an alternative. We could see broadband through the lens of a modern “utility,” as the Globe has recently suggested. Public utilities are infrastructure organizations that are created to achieve a public goal that businesses are unlikely to achieved on their own, such as providing airline or ferry service on an unprofitable route. Utilities are guided by special rules to ensure they achieve their special mission. They may be publicly or privately owned; they may or may not operate for profit. Examples include water and sewers, electricity, and transportation systems, such as roads, ferries, or trains. The utility model suggests innovative solutions to infrastructure issues like the digital divide. The idea is that governments would take a hand in creating special organizations to solve these issues, as they have done in the past with railways, highways, airlines, and other infrastructure. And here’s something about utilities that really might surprise you: Alberta is home to one of the earliest and most ambitious experiments with a digital infrastructure utility anywhere on the planet. The story is fascinating, and the lessons timely and highly instructive. In 1999, Premier Ralph Klein’s Conservative government partnered with a private sector consortium to provide every community in the province with a link to the internet; and broadband access to every hospital, library, school, and government office. But here’s where things get especially interesting: The very idea of an infrastructure utility poses a challenge to the oligopoly enjoyed by Canada’s big telcos. Basically, it undermines their business model and along with it their chokehold on the market. The telcos’ approach is based on infrastructure ownership, which means that to compete in the market a company must have some infrastructure. As we saw, this can be very costly. In rural areas, where the distances are great and the population small, the market often won’t support more than a single such network. Once a company has built one and is ensconced, it effectively enjoys a monopoly and can charge whatever it wants for services. Nor is it required to build in unprofitable regions. In Alberta, SuperNet was supposed to change this. The Klein government contributed some $200 million (1999 dollars) to construction costs, as well as guaranteeing Bell, one of the main partners, that it would purchase $169 million worth of telecommunication services from it over ten years. In exchange, the government set rules that would allow anyone to rent space/capacity on SuperNet for commercial purposes. In effect, this meant other companies could now get into the telecommunications market without building their own infrastructure. Klein believed this would introduce enough competition into the rural marketplace that telcos like Telus (which owned much of the infrastructure in Alberta) would no longer dominate it. Competition was supposed to ensure that rural Albertans would get high-quality services at affordable prices. At first, Bell was an enthusiastic partner. And why not? 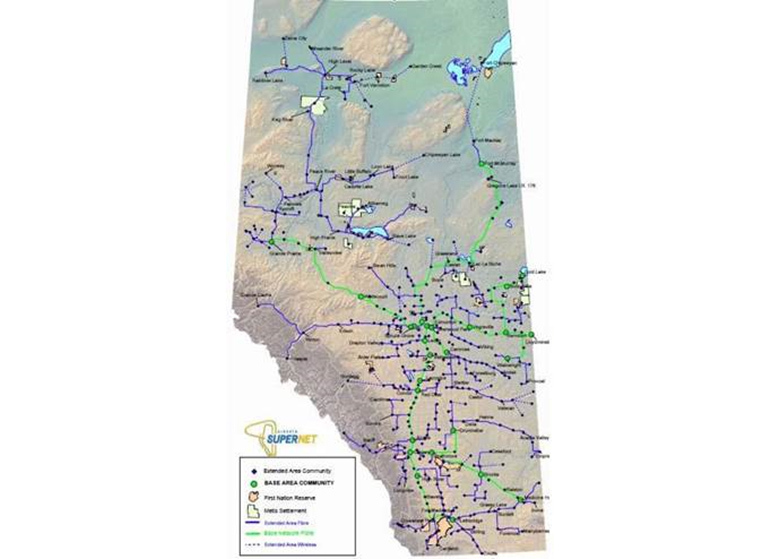 When it joined the consortium, it had virtually no infrastructure in western Canada. This was a golden opportunity to gain a foothold in the Alberta market without having to build any infrastructure of its own. Telus too supported the plan and, like Bell, indicated it would use SuperNet to deliver its services in rural Alberta. This was a critical success condition for SuperNet, which needed clients like these to become financially self-sufficient. Unfortunately, things didn’t work out that way. Shortly after SuperNet was built, Bell and Telus reached a private agreement to share their infrastructure across the country, rather than each one building its own. So, the experience with SuperNet apparently sold them on the value of infrastructure-sharing. More importantly, Telus never delivered on its promise to use SuperNet. Instead, it began building its own infrastructure in commercially viable parts of rural Alberta, then used it to compete with SuperNet. This deprived SuperNet of the revenues it needed to offset the cost of building infrastructure in even more remote areas – places Telus would not go. In the end, SuperNet succeeded, but not as well as it could have if the big telcos had cooperated. The lesson here is that companies like Bell and Telus are fine about infrastructure-sharing with a partner, but they want no part of a utility whose existence threatens their oligopoly through competition. As for regions that can’t provide a profitable return, they don’t see that as their problem. So, here’s the takeaway for Minister Bains. Utilities may be a promising way to address some serious infrastructure issues; and SuperNet will repay careful study. It is a goldmine of lessons about what can go right and wrong in such an undertaking. But the big telcos will oppose any move in this direction. They have had their way on digital infrastructure for decades and they will not give up their oligopoly without a fight. My colleague, Dan Bader, and I have recently completed a lengthy paper on the history of SuperNet, including an analysis of its impact on education in Alberta. 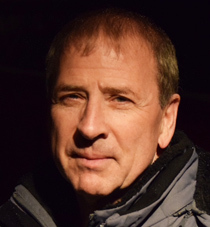 Dan Bader is a former deputy minister of Industry, Science and Innovation, and oversaw much of the contracting and building process for SuperNet.